Hesaam Yousefi, an Iranian political and human rights activist and refugee, was arrested during a May 1st demonstration in Kirkuk, Iraq (original press release) by government security forces. 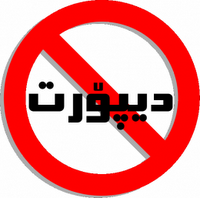 Hesaam was and remains at imminent risk of illegal deportation to Iran, where his life would be at extreme risk due to persecution by the Islamic Republic regime. Our sources report that, as of yesterday, two attempts by UNHCR representatives to visit Hesaam were rejected by Security authorities in Kirkuk. The Security authorities are reported to have told UNHCR representatives that releasing Hesaam would not be considered until the contents of the camera and computer confiscated at the time of Hesaam’s arrest are analyzed. Further, it is reported that the authorities are holding him on charges of illegal residency; this is despite the fact that Hesaam had previously obtained his residency papers in Suleymania. It is essential that the public exert as much pressure as possible against the Iraqi government to demand that Hesaam’s rights as a refugee by recognized and upheld, and that he be immediately released from detention. As long as Hesaam Yousefi remains in detention in Iraq, he is at high risk of deportation to Iran, where his life would be at extreme risk. I am writing to you regarding Iranian refugee Hesaam Yousefi, a political and human rights activist who fled political persecution in Iran. Mr. Yousefi was detained by security forces during a May 1st demonstration in Kirkuk, Iraq, and is currently being held in Qodiyah Prison in Kirkuk. Mr. Yousefi is an asylum-seeker registered with UNHCR in Iraq; his rights as a refugee must be recognized and upheld by the Iraqi government. I demand that the Iraqi authorities immediately release Hesaam Yousefi from detention. Under no circumstance should Mr. Yousefi be deported to Iran, and I hold the Iraqi authorities responsible for Mr. Yousefi’s safety. 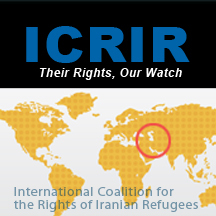 ICRIR would like to note that although UNHCR’s office in Suleymania had repeatedly refused to register Hesaam as an asylum-seeker, thus leaving him without an asylum-seeker’s certificate and subject to abuse by Iraqi authorities, when UNHCR-Washington was notified about Hesaam’s case over the weekend, they responded immediately by ensuring his registration with UNHCR as an asylum-seeker and sending UNHCR lawyers to the prison to try to visit him. We appreciate their urgent response to this situation.